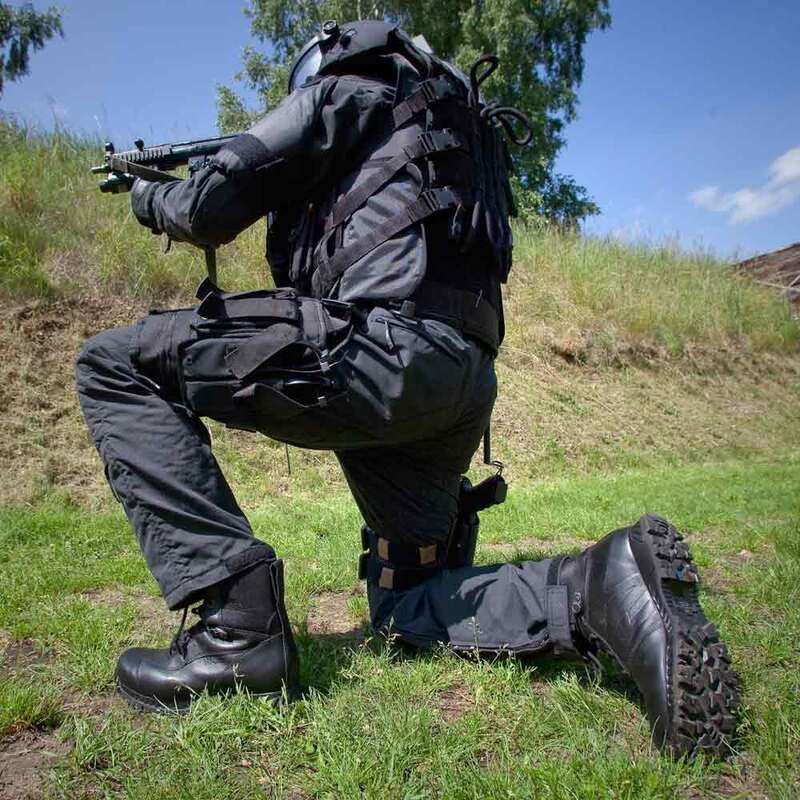 Product information "HAIX Ranger GSG9-S"
Police officers need to be equipped to face any situation. The Ranger GSG9-S will provide your feet with all the protection they need, regardless of the type of deployment in which you are involved. It also offers enhanced protection against bacteria or viruses, which may be transferred via blood or other body fluids. 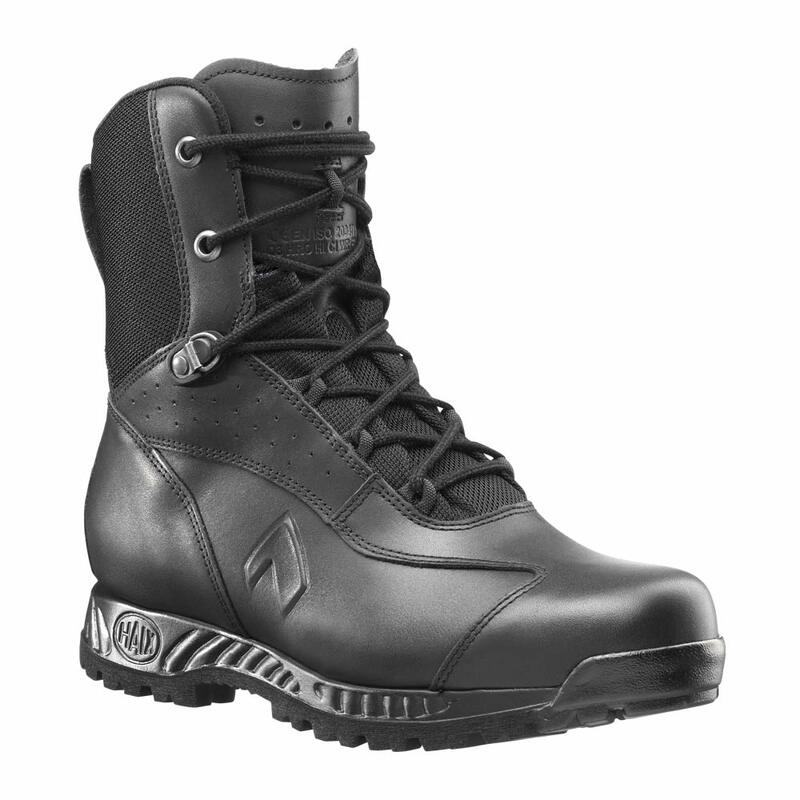 This is a professional boot which is also perfectly suited to the policing of demonstrations. 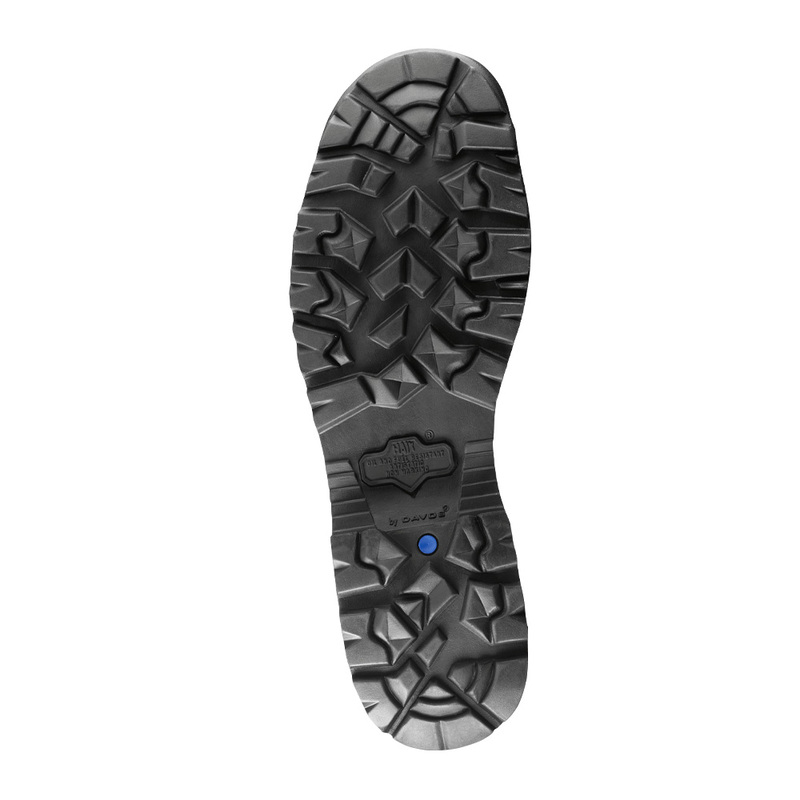 A padded ankle area shields you against injuries that may be caused by impacts from the side, whilst a puncture-resistant sole wards off any threat from sharp items underfoot, such as shards of glass. The Ranger GSG9-S has no problem at all in coping with highly specialist activities such as abseiling from a helicopter. Its seamless inner side helps guide the rope, whilst the edges of the boot’s abrasion-resistant rubber sole enables you to slow yourself down in a controlled manner. 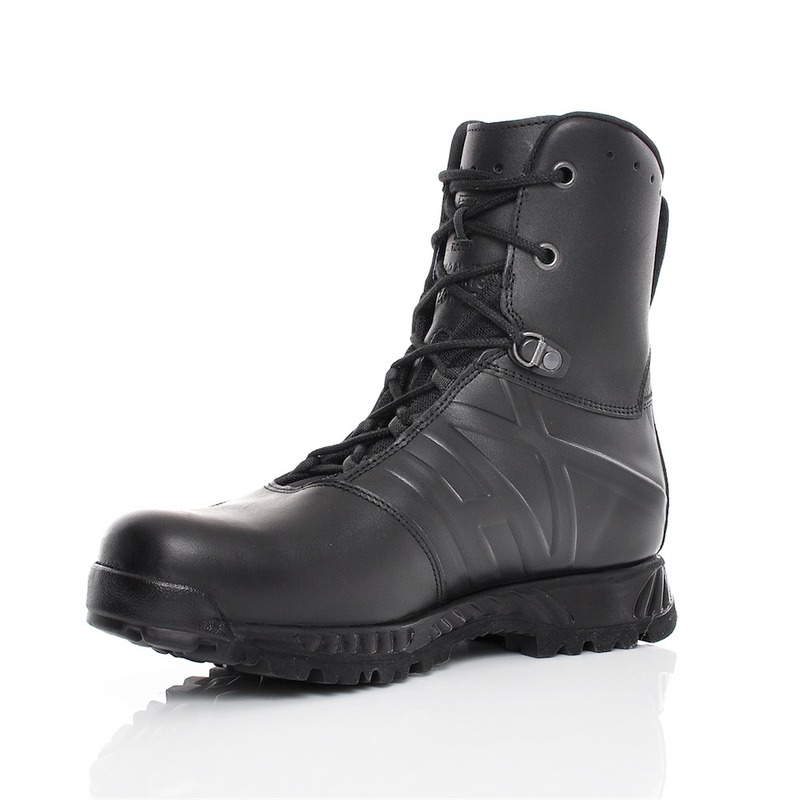 If you find yourself on patrol in winter or performing guard duty in summer, the outsole of the Ranger GSG9-S offers your feet reliable insulation against the heat and cold. The leather used in the manufacture of the boot also reflects the sun’s rays to prevent any overheating. A police officer’s work may involve everything from carrying out raids to simply being out on the beat. It may well be that such activities quickly bring you out in a sweat. 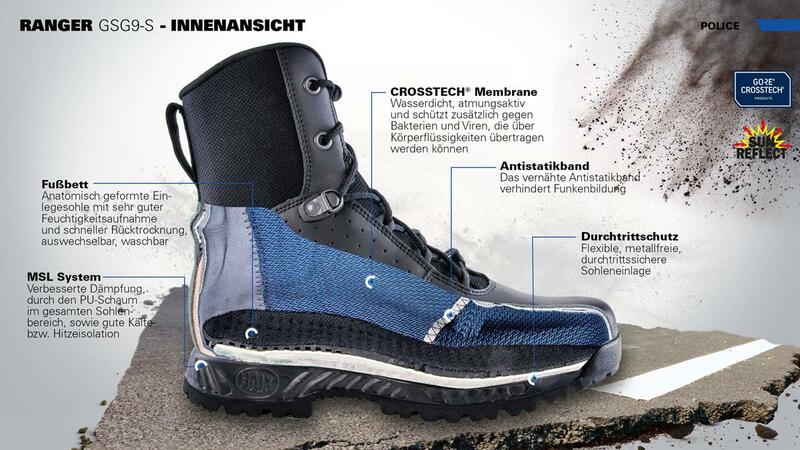 The inner lining of the HAIX Ranger GSG9-S ensures that your feet remain fresh. A watertight CROSSTECH® membrane provides breathability. In contrast to other GORE-TEX® membranes, it also offers enhanced protection against bacteria or viruses which may be transferred via blood or other bodily fluids. A three-ply laminate expels warm and damp air to stop any build-up within the shoe, whilst an anatomically formed inlay absorbs sweat in an extremely effective manner. The latter is fast drying and can be removed and exchanged if required. A special lining around the cuff also assists with the removal of any dampness. The HAIX Ranger GSG9-S is manufactured in waterproof cowhide. This provides an upper which is about two millimetres thick and especially breathable. The leather used prevents the boot from overheating by reflecting the rays of the sun, thus ensuring that less heat is transported to your feet. The interior of the boot does not contain any seams. This smooth surface makes it an ideal and secure option for “fast roping”. The Ranger GSG9-S features an inner lining made of abrasion-resistant fabric. Three-ply CROSSTECH® laminate keeps the boot waterproof and breathable whilst also offering enhanced protection against bacteria or viruses, which may be transferred via blood or other body fluids. The EVA mesh inlay may be removed and washed if required. A micro-dry lining at the cuff also allows moisture to escape. The ankle area of the Ranger GSG9-S is well padded and affords adequate protection against impacts or kicks from the side. 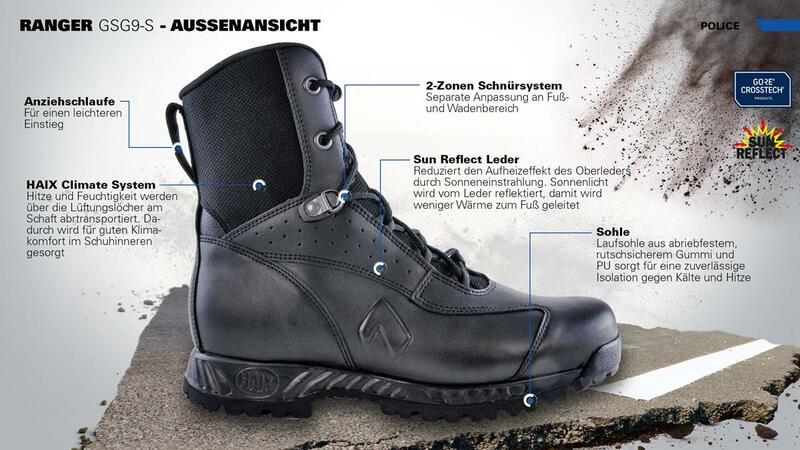 The outsole of the HAIX Ranger GSG9-S comprises a particularly hard-wearing mix of rubber and PU (polyurethane). This material is significantly more durable than that used in comparable footwear and permits you to move along particularly quietly. It also provides reliable insulation against the cold and heat. The rubber used in the manufacture of the sole is colour fast and will not leave any ugly black marks on light-coloured floors. The edges of the sole are perfectly suited to slowing down your progress whilst abseiling. A PU foam (polyurethane) layer extending over the entire area of the sole cushions your steps as you go and reduces pressure on your joints. This integrated inlay contains no metal. It is also puncture resistant and will prevent any penetration of sharp objects such as shards of glass or nails. 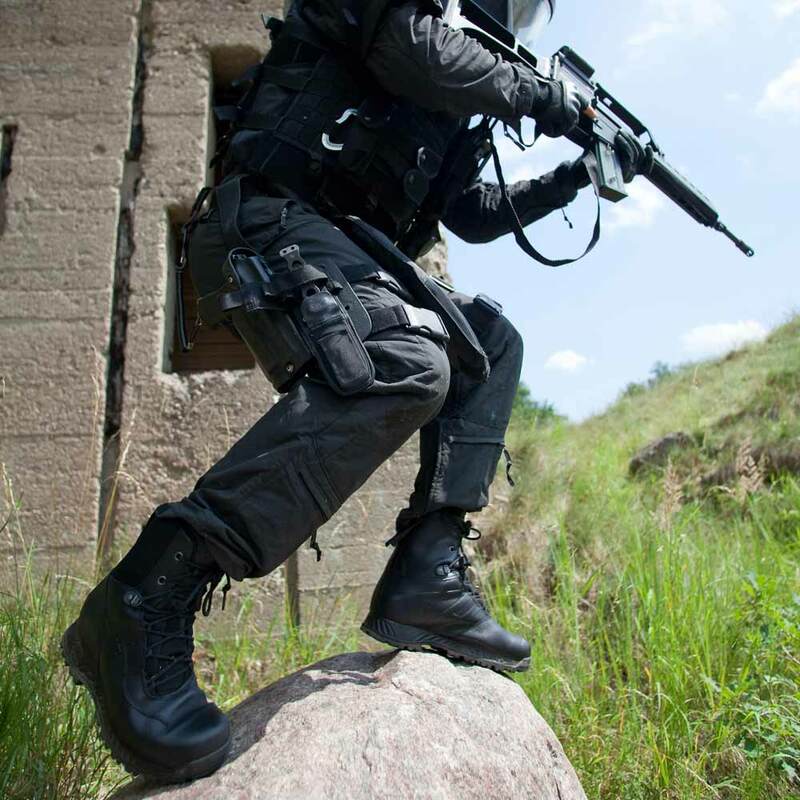 The Ranger GSG9-S is the ideal professional choice for the police service. A dual-zone lacing system enables it to be perfectly adjusted to fit the foot and calf area of the wearer. Order your new HAIX professional boots now.